What is the purport of the levelling principle but to make the tenant as liberal a fortune as the landlord. I was by birth a gentleman. You must cut these people in pieces or they will cut you in pieces. On 1 April 1649 a small group of about thirty or forty people began to dig and plant the common land on St George's Hill in Surrey. They were mainly labouring men and their families, and they confidently hoped that five thousand others would join them. 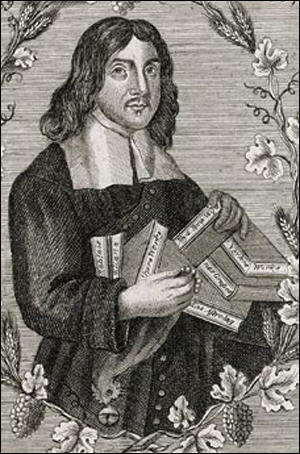 Their leaders were William Everard, a soldier who had been cashiered from the New Model army on account of his radicalism, and Gerrard Winstanley, a small cloth merchant from London who had been ruined by the economic depression of the early 1640s and who was then living at nearby Cobham. 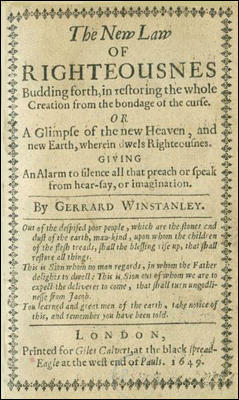 The intention was to cultivate the land communally, to make the earth (in Winstanley's favourite phrase) 'a common treasury', which God had intended it to be. 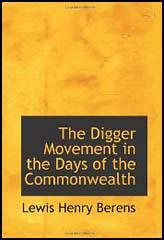 The Diggers were a small group who preached and attempted to practise a primitive communism based on the claim that the land belonged to the whole people of England. This claim was supported by the interesting historical argument that William the Conqueror had 'turned the English out of their birthrights; and compelled them for necessity to be servants to him and to his Norman soldiers'. The civil war was thus regarded as the reconquest of England by the English people. 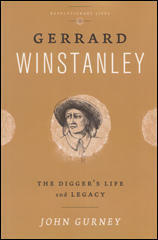 In the theological language of the time Winstanley urged that this political reconquest needed a social revolution to complete it and that otherwise the essential quality of monarchy remained.